"Believe," Is The Word Being Thrown Around In Regards To Uncharted 2 These Days. Many cynics considered the hype something disagreeable and all too often attached to PS3 exclusives. But 3D Realms' George Broussard has spoken out on Shack forums, announcing "believe the hype". 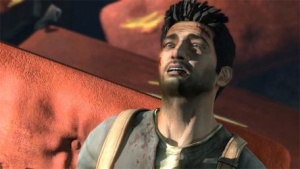 [Uncharted 2 is] nearly, if not, on par with Half-Life 1/2. I havent felt this giddy over a game series since Half-Life. Uncharted 2 is almost certain to go down as one of the best games of this generation alongside Super Mario Galaxy and Grand Theft Auto 4. If you really haven't tried the game yet, you owe it to yourself.